This is a complete kit with everything you will need to make the "Little Flowers Ring Cushion" designed by Le Lin d'Isabelle (except the padding). It comes with a complete alphabet for you to personalize your work. 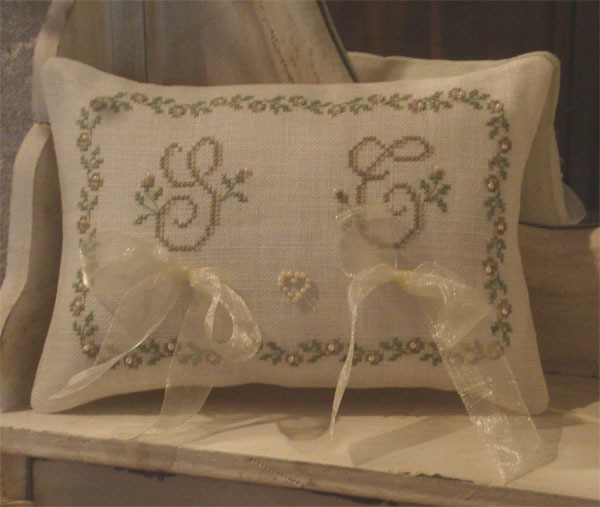 The back of the cushion is also stitched with the wedding's date. All you will need to add is the padding. This product is a complete kit (Aida fabric) produced by SoCreaStitch.